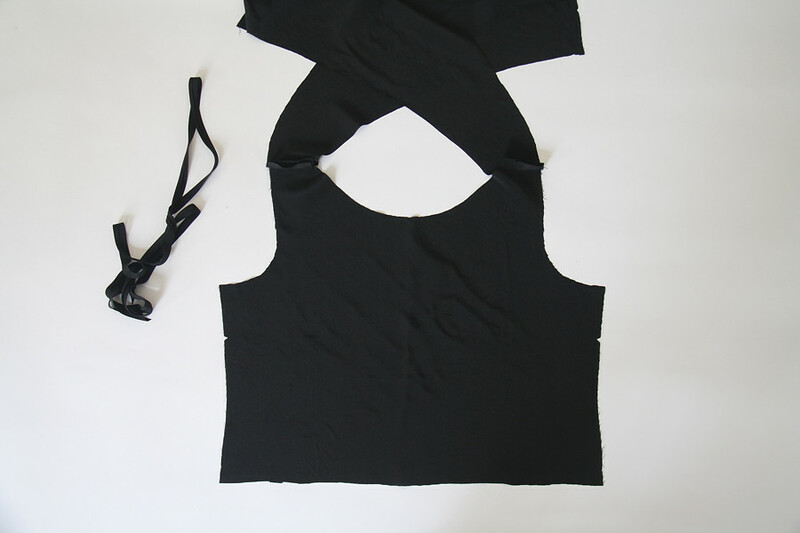 It's been awhile since I shared a DIY, so here's a summer-friendly project to try out.. a wrap back tank made from silk. 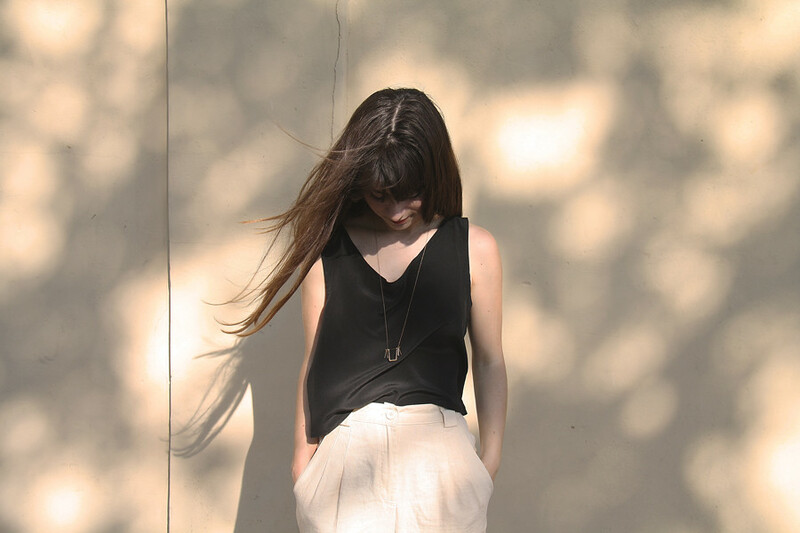 What you need for this project: a basic tank top pattern (Megan Nielsen offers a great one), a yard or so of lightweight fabric like silk crepe de chine or rayon, and five yards of single fold bias tape. I'm addicted to making my own matching bias tape to use in projects, and you can do it too by using this handy tool (I use mine daily - literally). 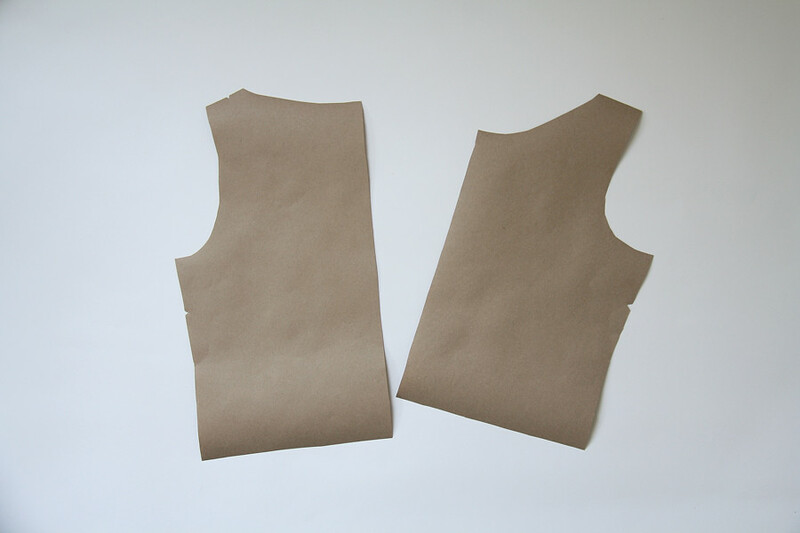 To begin, trace a copy of the back of your tank top pattern on some pattern or kraft paper, then flip it over at the center and trace it again to create the full width of the back piece. This is assuming the piece is placed on the center fold - if it has a center seam, trace the back piece sans center seam allowance. Now, you will create a new back piece that serves as the wrap back. When creating a back piece, be sure of three things: 1. the length of the piece is the same as the length of the entire original back piece when unfolded. 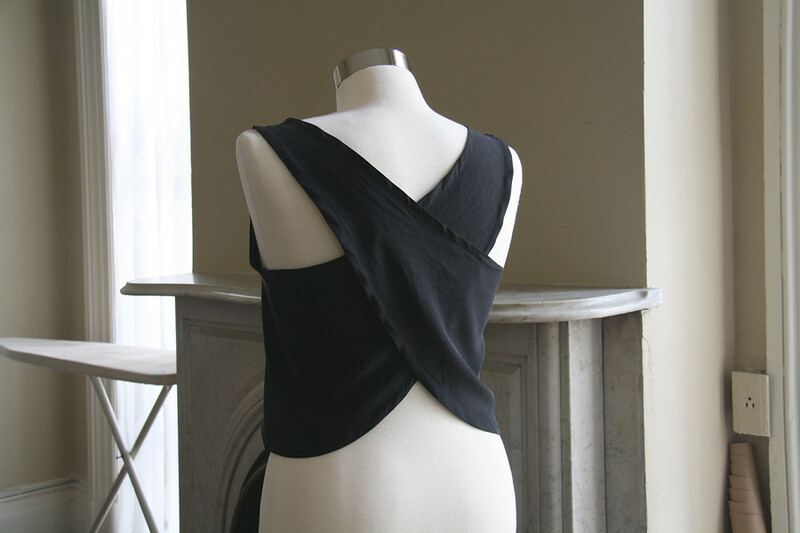 2. keep the same side seam as the original back piece on one side. 3. keep the same shoulder strap as the original back piece on the opposite side. 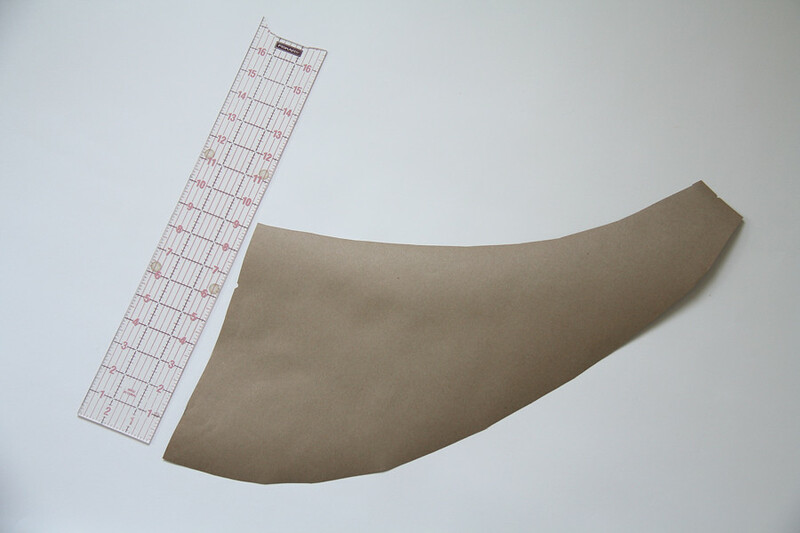 Start at the righthand side shoulder strap of the back piece and extend lines from it to the left side seam. You can do this with curved lines, like I did, or straight lines, as long as the right shoulder strap and left side seam keep their widths and placement. 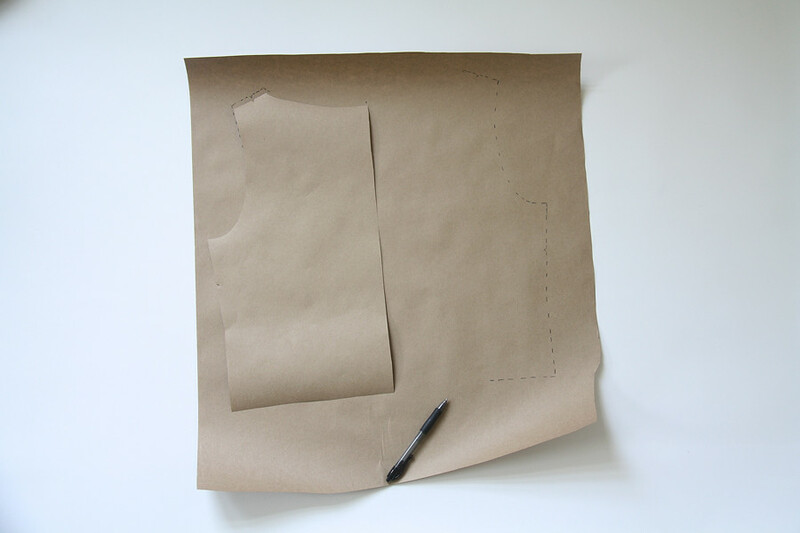 When you have a back wrap piece drafted, go ahead and start cutting your fabric. Lay the wrap piece on the same grain direction as the original back piece, and cut two. Cut your tank front as normal. 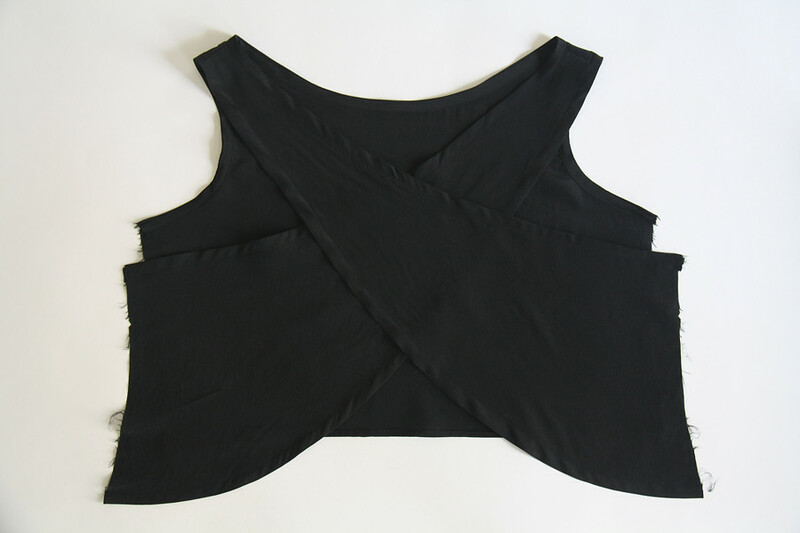 Sew the straps together at seam allowance, criss crossing the back wrap pieces. 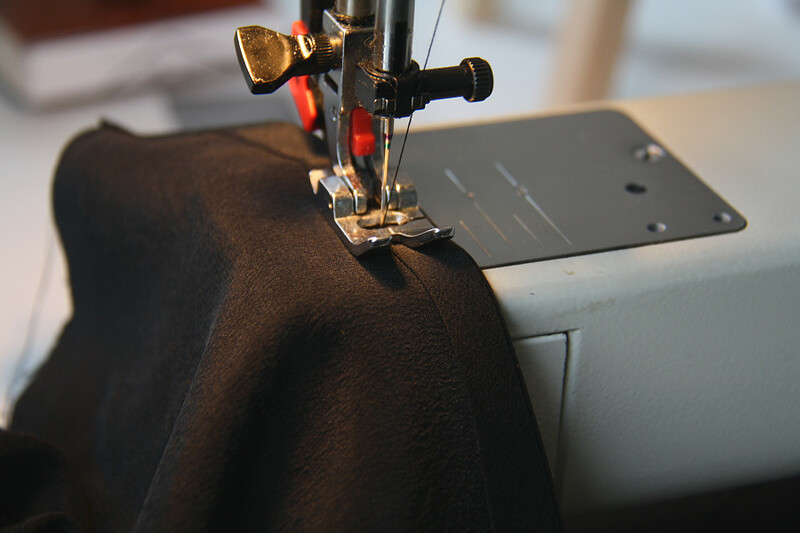 Sew the side seams with wrap pieces criss crossed. Now, sew your bias tape along all edges. 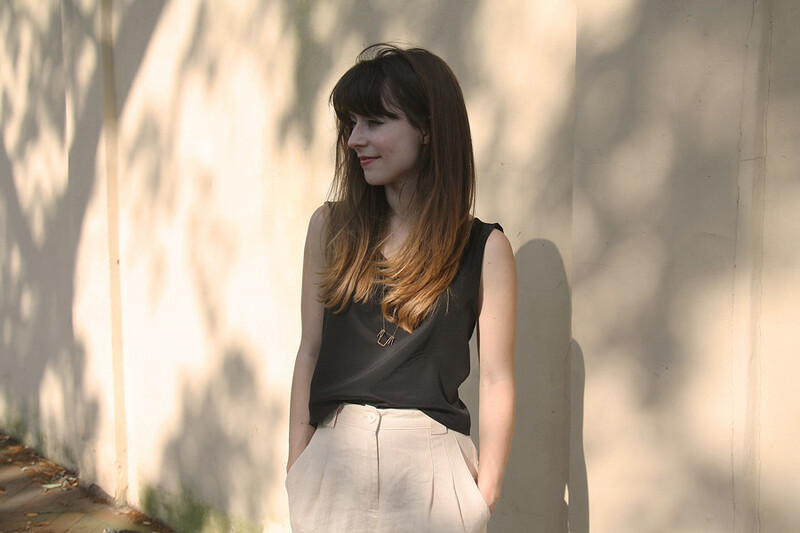 A quicker version is to sew a simple rolled hem along all edges, but this can be a bad idea when sewing necklines and armholes, as the hem doesn't always like to lay flat (rolled hems on sleeves and the bottom hem of pants and skirts are fine, just not so much on necklines/armholes). Plus, bias tape finishes are the best, in my opinion. Hope this comes in handy as the weather warms up! Any questions, please feel free to ask in the comments below.